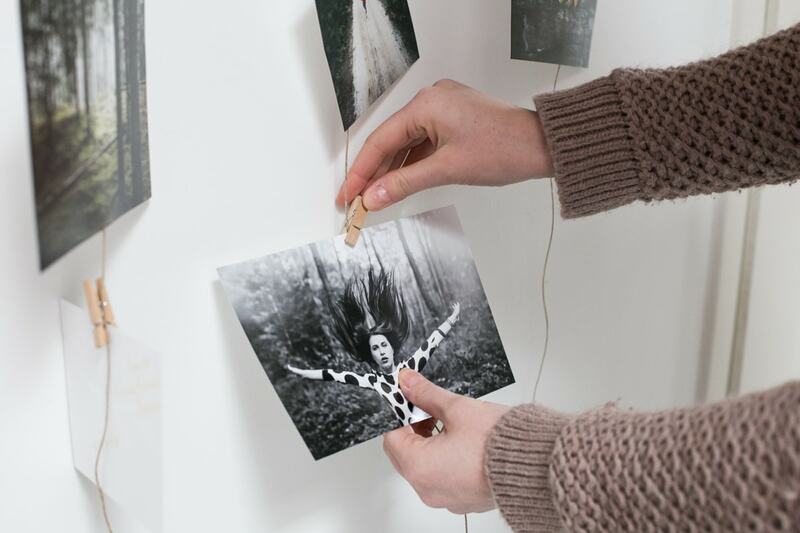 Looking for creative ways to hang your prints? 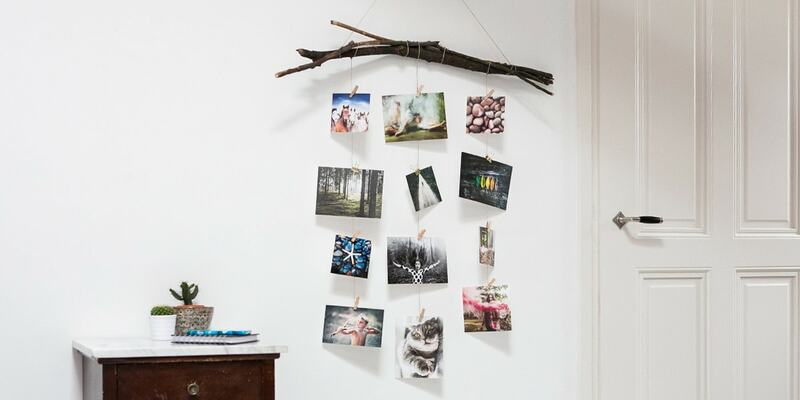 Try this fun and affordable hanging photo wall! Favourite vacations, birthdays, weddings, you name it, you’ve probably got pics of it. 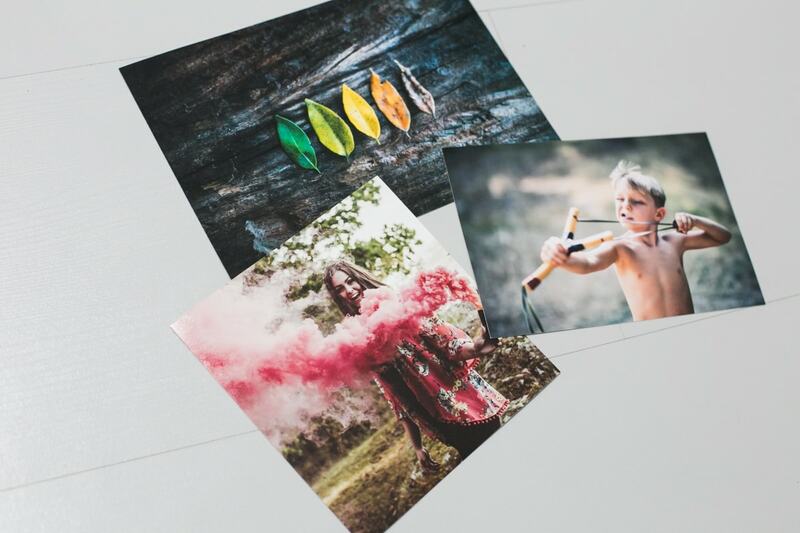 If you have hundreds of photos safely stored in digital format, then now is the time to let your best moments shine by turning your favourite photos into beautiful prints. Head over to our online creator tool and get started. 2. Cut a few pieces of string at random lengths and tie your branches together (if using multiple branches). 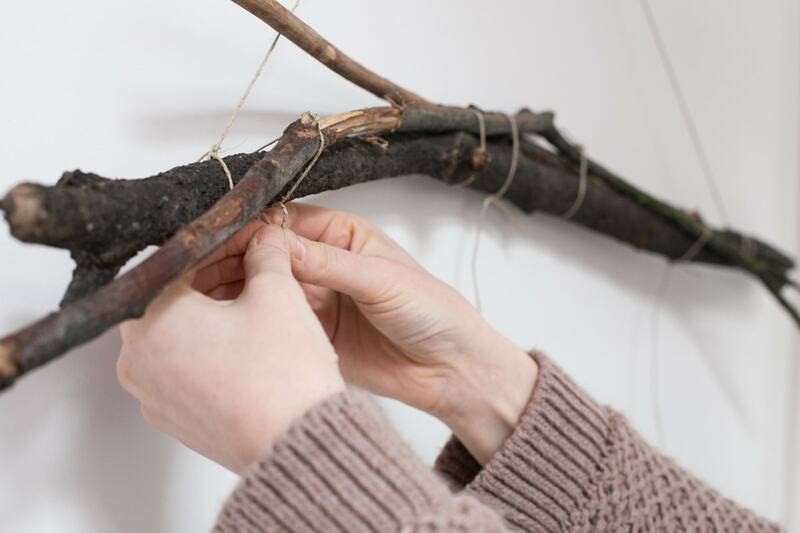 Tie a longer piece of string to each end of the branch to create a triangle hanging system. 4. Use a hammer to secure your tack nail or hook to the wall and hang! P.S Why not try attaching your hook to the ceiling for a floating mobile effect? And voila! 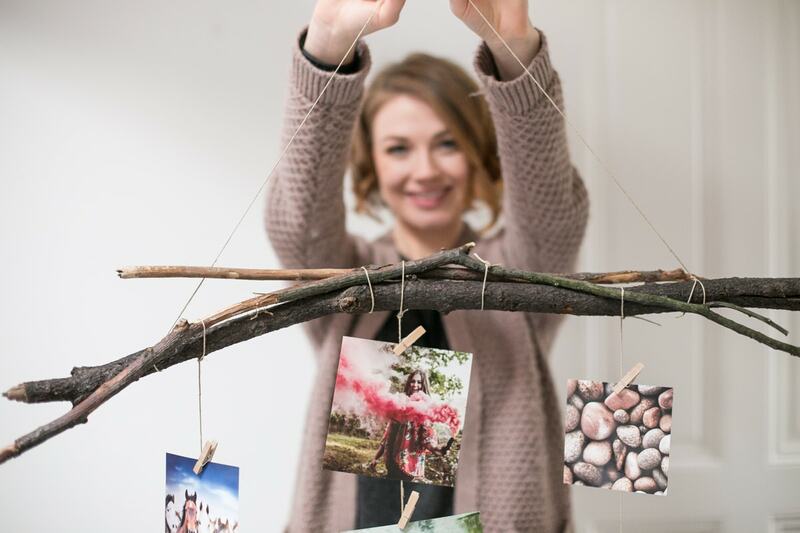 You are now the proud owner of a wonderful photo wall hanging that will instantly brighten up your space (and might even make the perfect housewarming gift for a friend). 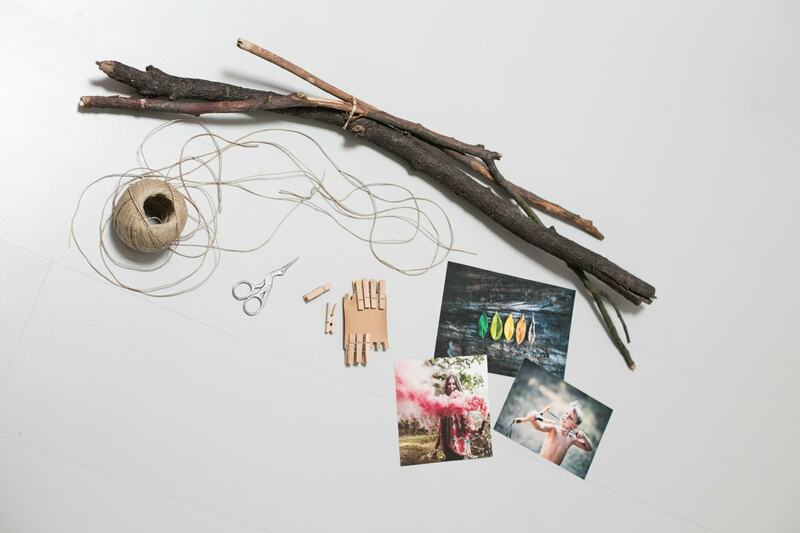 Let us know how your creation turns out by sharing pictures with us on Facebook, Instagram or Twitter and if you have any tips or questions, be sure to comment below! We’ll be back next week with another purpose for prints. For now, check out our Pinterest board for more photo prints home décor ideas.